Other Common Names: Acadian Owl (acadicus); Queen Charlotte Owl (brooksi); Kirkland’s Owl; Saw-filer; Whetsaw; White-fronted Owl; Sparrow Owl. 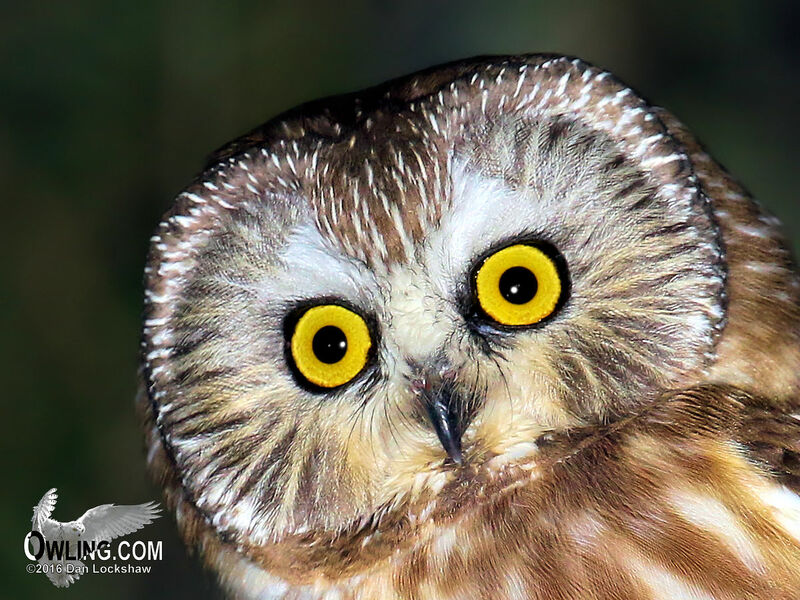 Subspecies: There is only one recognized race of Northern Saw-whet Owl on mainland North America and Mexico. There is another recognized race that is restricted to the Queen Charlotte Islands of British Columbia. These are the only two races of Northern Saw-whet Owl. The Saw-whet Owls are found nowhere else in the world but there is another species of Saw-whet Owl found in Central America (Unspotted Saw-whet Owl – Aegolius ridgwayi) that appear somewhat similar to the deep brown brooksi race of the Charlotte Islands. A. a. acadicus is found from Southern Alaska south to Southern California and New Mexico. 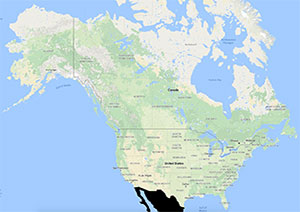 It also stretches from British Columbia to the East Coast of Canada and through the Northeastern U. S. In its winter range the Saw-whet stretches across the Southern U. S. and into some of Northern Mexico. There are also resident birds in the Central Mexican Highlands. Wingspan: 17 – 20 in. Length: 7 – 8.5 in. Tail: 2.5 – 2.9 in. Average Weight: Male: 2.7 oz. Average Weight: Female: 3.25 oz. Description: This is a small owl that lacks ear tufts. The Saw-whet has a proportionately large head and prominent facial disk. 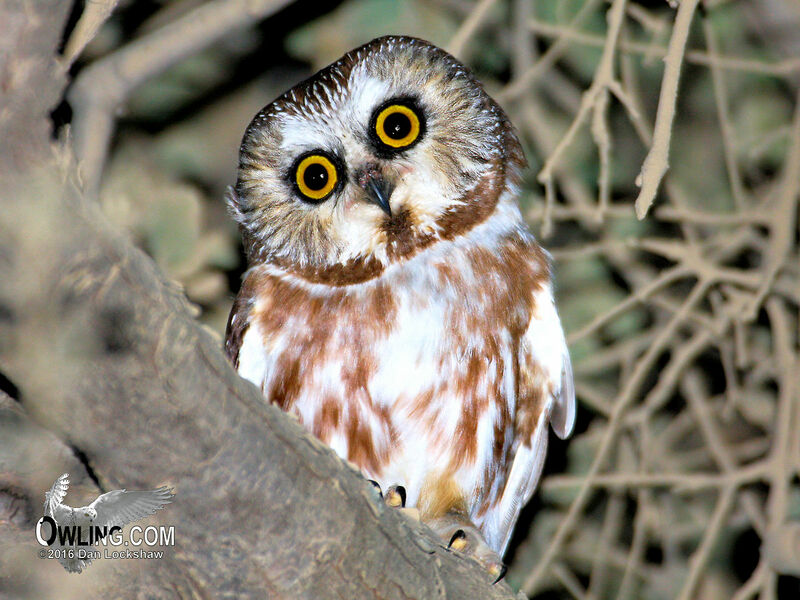 The color of the Saw-whet varies as far as the amount of cinnamon or red tones in its rich dark brown backside. It has scattered large white spots on its nape and backside (scapulars, primaries, and secondaries). Its crown has fine white streaks and the tail has 2 to 3 broken white bars. Its under parts are white with thick reddish-brown streaks (noticeably more reddish or cinnamon in color than the backside). The prominent facial disk varies in its amount of white in the disk although can be a light tannish-brown. Above bill and eyebrows white sometime referred to a conspicuous white “V” from the base of the bill up and over the eyes (the amount of white in the disk also determines how obvious this is). The bill is black and the iris is lemon yellow. The brooksi race is darker, has fewer white markings, and orange-buff under parts. 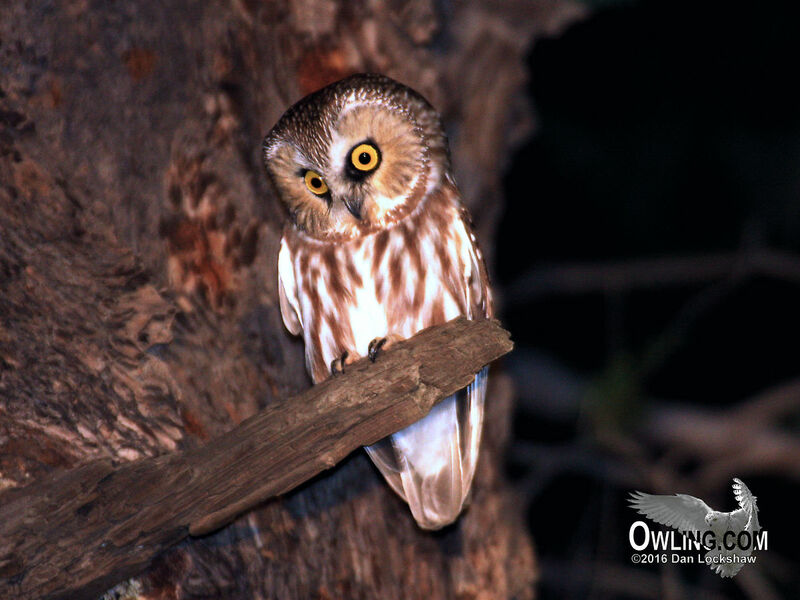 The noticeable distinctions between the similar but slightly larger Boreal Owl (that often inhabits the same range) are: the Saw-whet’s black bill and Boreal’s yellow bill; the streaks on the Saw-whet’s crown versus spots on the Boreal’s; the Saw-whet also lacks the black outer facial rim of the Boreal Owl. Young: The juveniles lack the white marking on the backside except for small amounts on the wings and tail. The undersides (lower chest, flanks, and belly) are tan to light brown. The upper chest and head are darker brown (appears to be wearing a dark brown hood). The facial disk is black or brownish-black. Strong contrasting white above the bill and into the eyebrows (bold white “V”). Variable amount of white also below the eyes, sides of the bill (cheeks), and into the mustache. 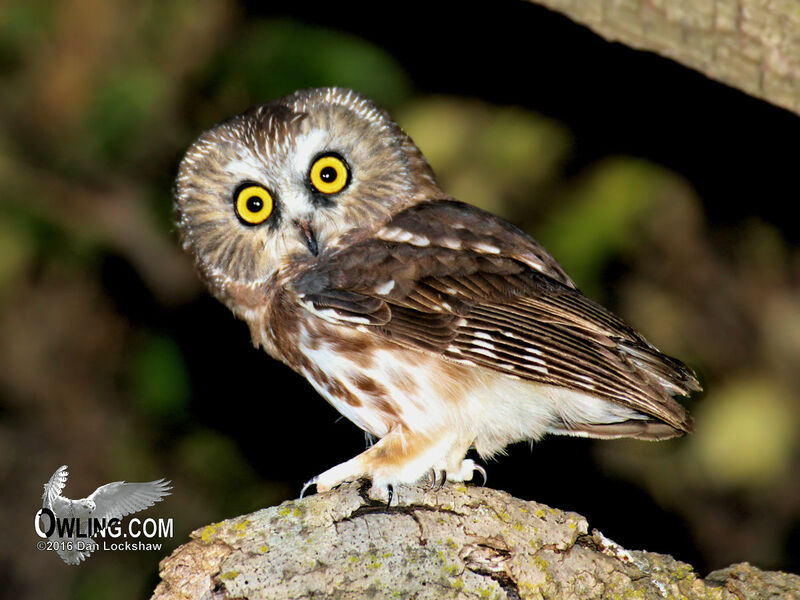 The Saw-whet Owl is a forest or woodland inhabitant of varied elevation and vegetation. The eastern birds are often found (at least in the winter) at lower elevations although the Saw-whets in the coastal ranges of the Pacific can inhabit very low elevations also. In general western birds are associated with mature forests from 1,000 to more than 10,000 feet in elevation. Lower habitats may be used in the winter months. The birds seem to avoid large unbroken stands of pine and prefer a mix with deciduous trees. It is said to be quite tame and approachable in the daytime where it will often perch quite low (maybe as low as 5 feet off the ground). Winter roosts can take allot of searching to find, since it disperses widely, although they may be used year after year and may show large concentrations of pellets and white wash. The Saw-whet’s diet consists mostly of mice although other small mammals and some birds will also be eaten. Usually 70 to 80% of their diet consists of woodland mice with voles being favored second. The remainder of their diet consists of other small mammals and a small percentage of birds. The brooksi race is also known to take significant amounts of invertebrates including spiders, insects, and amphipods (marine crustaceans). This small owl has also been reported to take mammals as large as flying squirrels and birds as large as Rock Doves and Northern Cardinals. It has very good night vision and exceptional hearing. This small owl nests almost exclusively in woodpecker holes with Northern Flicker holes being preferred most. The breeding season lasts from about March through July and this is the only period when the birds are vocal. The remainder of the year the birds are completely quiet which can make locating them very difficult outside of breeding season except in areas where they tend to collect during migration. Clutch size is generally 5 to 6 eggs although 4 to 7 are common. The incubation period is 26 – 29 days and the young fledge at 27 -34 days old. The female leaves the nest when the youngest nestling is about 18 days old to roost elsewhere. The male will continue to feed the young, even after the female is gone, for at least a month after fledging. The Saw-whet is often resident in its breeding range, particularly in the west. 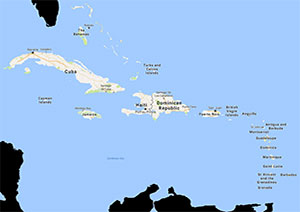 The northern and eastern populations tend to at least partially, move south in the winter. 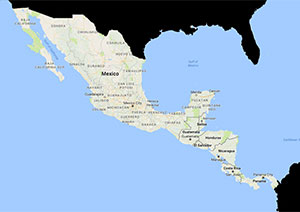 These movements extend into the Southern States and even into Northern Mexico. This is thought to be the most migratory of the non-insectivorous owls in North America although most of the movements have only been studied in the east and much of the western birds are only attitudinally migrant. Most migrants are also juvenile birds. Fall migration extends from September to December and spring movements are from March to June. The longest recorded life span for a wild owl is only 7 years although captive owls have lived for 17 years.